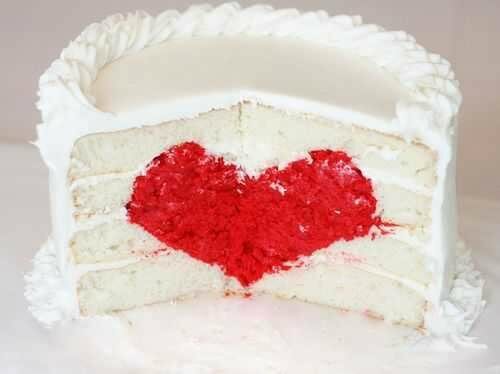 We have found some of the most unique and creative gift ideas for you to have fun making this Valentines Day and each comes with step-by-step instructions for how to make them. So, why not spend a few special hours this February creating something beautiful and heart-felt. 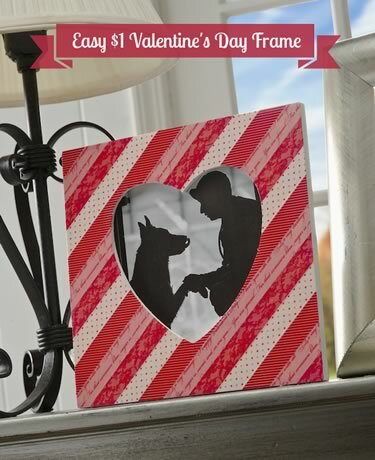 Check out these tutorials to get some fabulous ideas for homemade Valentine gifts. You’ll find crafts ranging from cute beer bottle labels, memory scrapbooks and monogram mugs, to His and Her pillow-cases, impressive heart cookies, cakes and an iPad cover! Or why not try one of the most romantic ideas I found - a year of pre-planned and pre-paid dates for you both to look forward to this year! This collection of awesome tutorials is thanks to my friend Katherine who looked high and low all over the web to bring you only the best. Thanks Katherine! 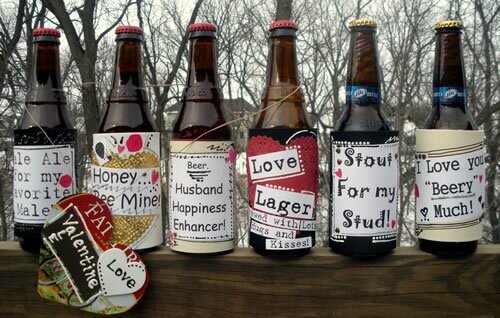 Learn how to make these fabulous and fun beer labels. Decorate a stash of your other-half's favorite bottles for Valentines day. 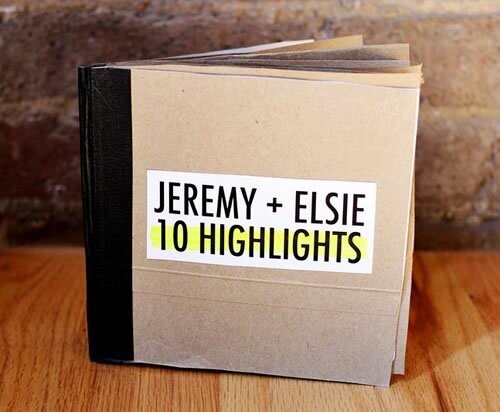 Make a beautiful memory scrapbook for your other half, from recycled materials and filled with the highlights of your relationship. This makes a beautiful gift to your loved one and fits perfectly on a coffee table. The link has full step by step instructions. 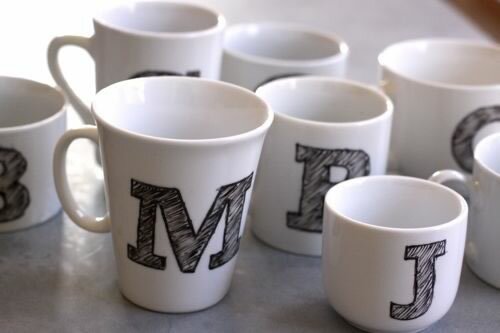 I love these DIY monogram mugs. 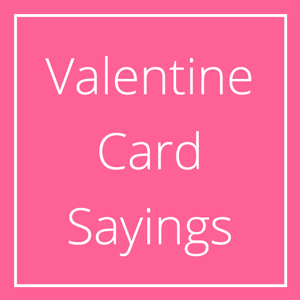 They are perfect for so many occasions and make a fabulously creative Valentine idea for your man. He can think of you every time his heart beats faster over his morning espresso! 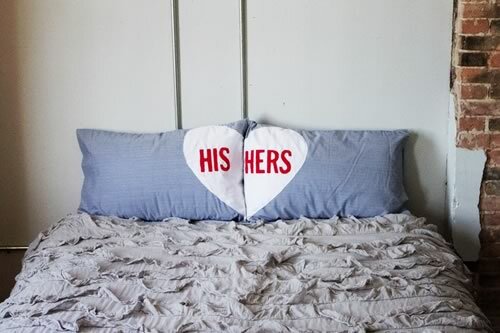 These pillowcases are a beautiful and really creative Valentine gift for your bed mate. There are step-by-by step instructions for how to decorate your pillowcases and bring some extra love into your bedroom! This is one of the most useful and creative Valentine ideas ever. 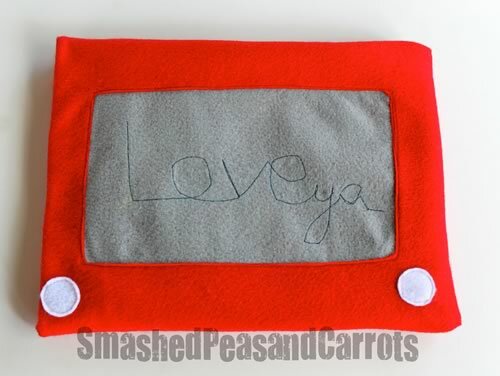 Make a cozy felt cover for your man's iPad (or laptop) to look like an etch-a-sketch with a love message on top! 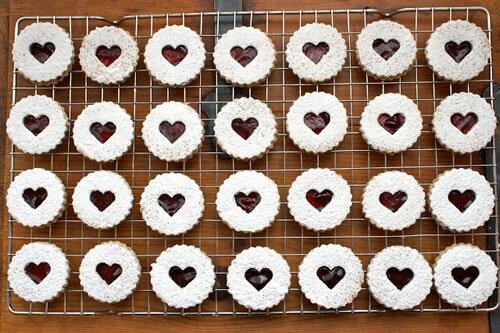 What man could resist a plate, bag or tin full of these cookies on the morning of 14 February!? These look amazing, are easy to make and speak volumes. This is the most AMAZING Valentine Day surprise. It looks fabulous and I bet it tastes great! If you fancy a baking challenge then have a go at making this beautiful cake. Your man has just got to feel loved when he receives this! 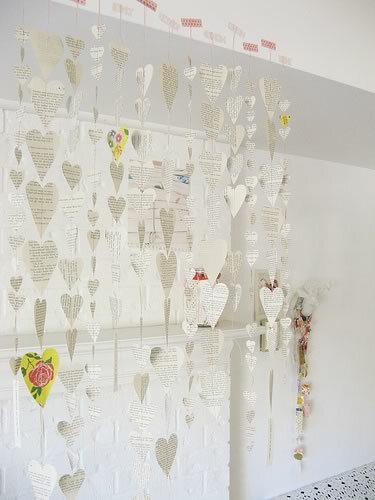 These beautiful hanging strings of hearts are a stylish alternative Valentines day gift for someone. If you are looking for a way to mark the day (or the season!) with love, why not decorate your home (or his) with these lovely strings of hearts. I really like this Valentine gift because it looks amazing and you wouldn't believe that it was really cheap and only took 30 minutes to make. Plus I'm a big fan of Washi tape so I like it for that reason too :-) So, now you can frame that beautiful photograph of you and your man together and give it to him this Valentines Day. I love this quick yet creative Valentine gift idea. Bake a batch of your Valentine's favorite cookies or brownies. 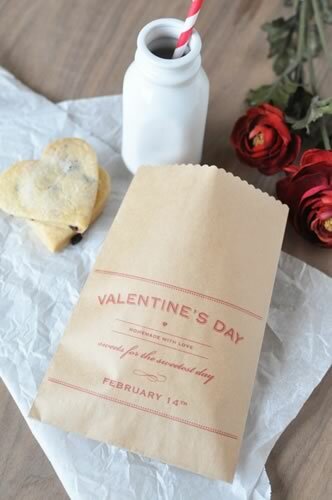 Then follow the link to print out the Valentine message onto a brown paper bag. When the cookies are cool, fill up the bag! Why not smuggle these into his work bag or car for a special surprise on 14th February. 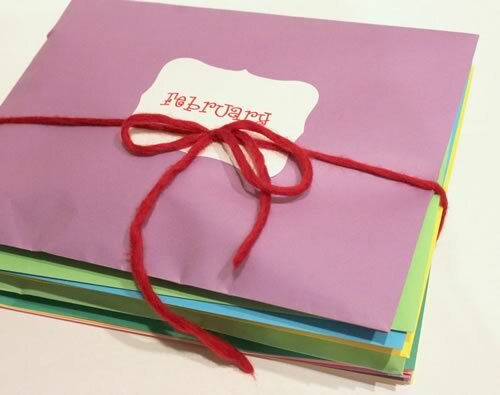 ...or take a peek at even more creative Valentine ideas for boyfriends .